Grief waves – You Cannot Swim & Cry. 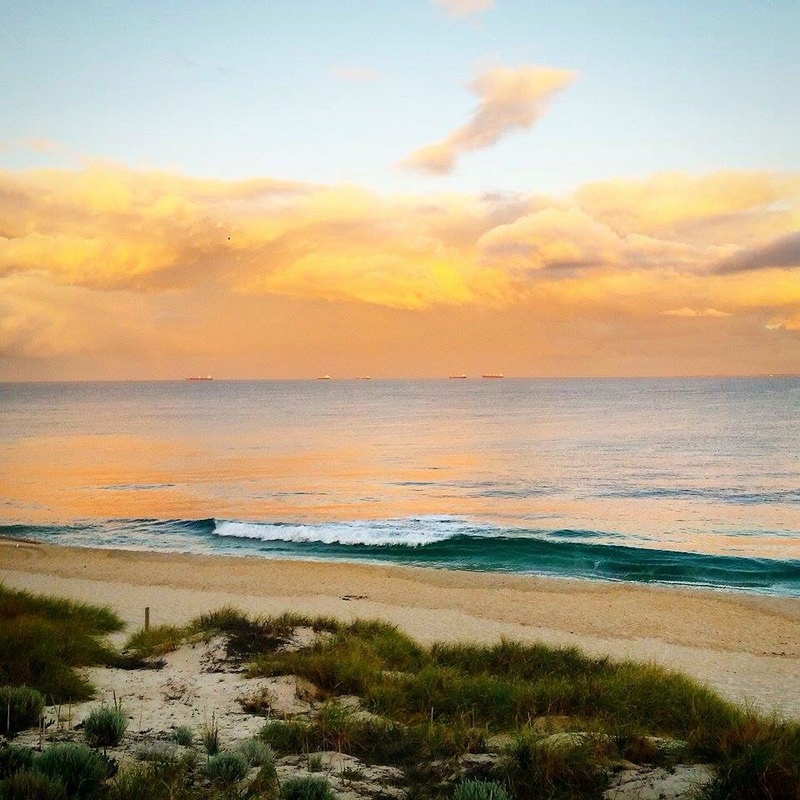 My favourite beach at dawn. Grief is one of those unusual emotions in life where it can lie dormant internally one moment, then erupt like a volcano the next. From one calm stasis to a completely violent torrent flood of tears, emotion and sadness. I have felt good for while now, it seems at least 3 weeks since I last had a really sad moment. I am a very emotionally charged woman and I know now to allow my feelings to come to the surface when they need to. Allow them to bubble up and spew forth, as I know the release will make me feel better in the long run. Keeping the emotion inside and not letting it out, makes it fester, and possibly turn into something sinister, like Cancer or another disease. Emotions need to be released and somewhat purged from the body. Call me 'the releaser', but also call me crazy, because you don't really want to be around when I am whaling away like a 5 year old who lost their favourite toy. Sadly my reasons are far more serious; I have lost all my family and am now an adult orphan. What makes my situation even more isolating is I don't have a partner or any children; yet- being the optimistic approach here. Even the bloody cat abandoned me. When Mum died a year ago my affectionate loving feline decided the neighbours was a better place to stay. Now I see only the occasional flash of white fluff across the garden, and get a very rare meet and greet and brief meow and pat. So yeah, being on your own is not for the faint hearted. I wonder how I got this far sometimes, but honestly, the power to be brave, courageous and have hope that things will get better is what keeps pushing me forward. These skills were taught to me by the very best, the most brave and strong, my wonderful parents. My parents were very strong people, soldiers in life's struggles, and persisted through some very hard times; mostly independently as they split when I was four years old. So they also spent a lot of time living independently, on their own solo missions. Their tenacious spirit and will to push and succeed against all adversity, is a trait seeded in me. I have learnt naturally, and through years of observation, to dig deeper, be strong, push my shoulders back, and carry on. I owe it to them to make the very most of my life; to be the best I can possibly be; and continue to make them proud. Lucky for me I have a very close connection to them in spirit and I feel them around me most days. They come and go but when needed they are there. I hear them call my nickname 'Anit' repeatedly, and I feel their love and pride circling around me, like a cloud of love. Their love is eternal because I can still feel it enveloping and caressing me, and this keeps me strong. Love you Mum and Dad and thanks for being so awesome. The other day I had a massive wave of grief. I cried, I wailed, I blubbered, there was lots of snot, and lots of tears. I knew getting outside into the fresh air would help, and it did. I took the day off work because I knew I just was not up for it. The clicking over of the start of the month, was too much of a reminder that it was nearly one year since my Mum died. The date was my reality check. 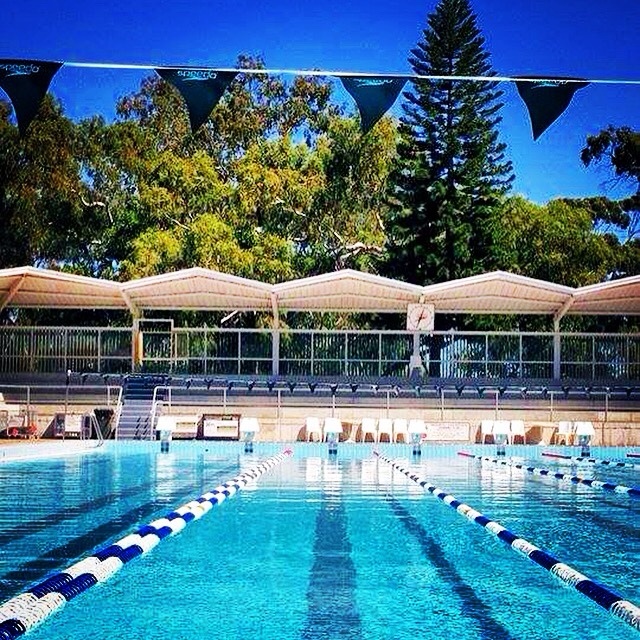 My local pool where I bust out laps in the sun. I decided to go swim laps. The day was beautiful, and the bright blue sky and warm glowing sun were doing their best to cheer me up. Warm water greeted me as I slunk into the shallow end. It was great to swim, the methodical strokes were soothing to my soul. As sad thoughts entered my mind, I would try and cry under my goggles, but I couldn't; it's hard to cry and swim. I continued to think and swim and let my thoughts drift in and out of my forever busy mind. Swimming induces a meditative state for me, it's fabulous. On this day I simply enjoyed the sun on my back and cleansing water gliding over my body, allowing my body and mind to flow and relax. Through out the day I was still emotional. But that's okay. Tears are good. It's good to release, and by the end of the day I felt calmer, more relieved and less tense and strung out. As I put myself to bed that night, I whimsically looked at the photo of my Mum by my bedside. I kissed her goodnight and told her I loved her, like I do every day. Love you Mum. 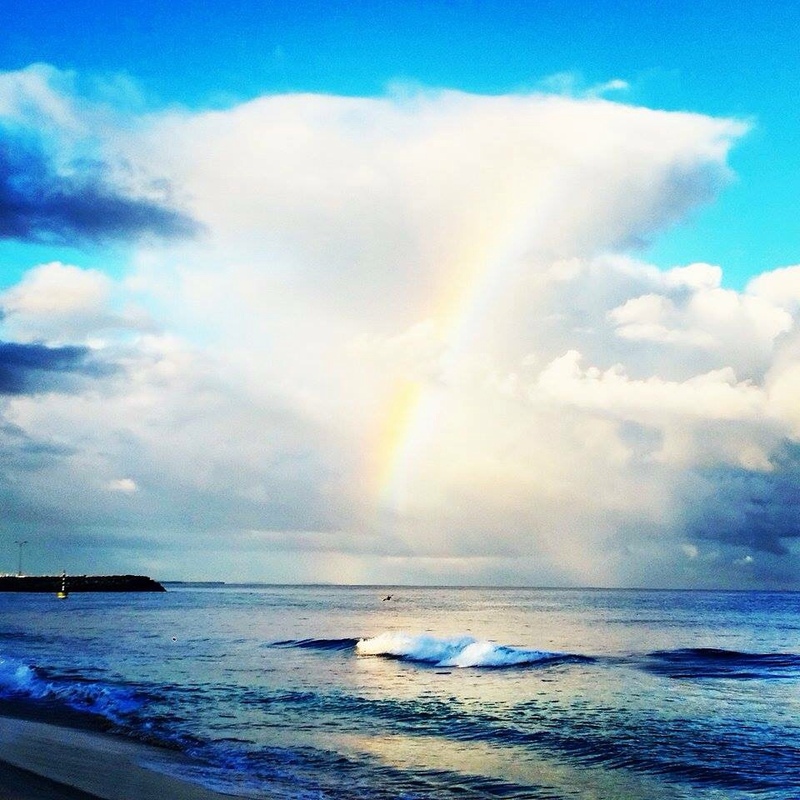 Magical rainbow one morning at Cottesloe Beach. Love the family you have around you now, as they are not physically around you forever. Hope you enjoyed reading about my grief wave and I hope it has helped you too in some way to understand grief or support your own struggle through overcoming grief. “Love has no bounds; it can penetrate all walls and barriers; it is endless, timeless and lasts forever. Love is the ultimate of emotions in life. We are blessed and burdened by its beauty and power.” – Anita Ozolins. ← Queenstown NZ Tour Part 7 – I was in Heaven.